Everyone is invited to Janet Read’s new solo exhibition of recent work generated by her travels in China, and the UK. “Travelling Mercies” is the title of a show of work from journeys I have taken in the past five years. I went to China in 2014 and was astounded by the scale of the country, the vast space and numerous people. A series of small works on vellum resulted incorporating motifs in abstract format from that experience. 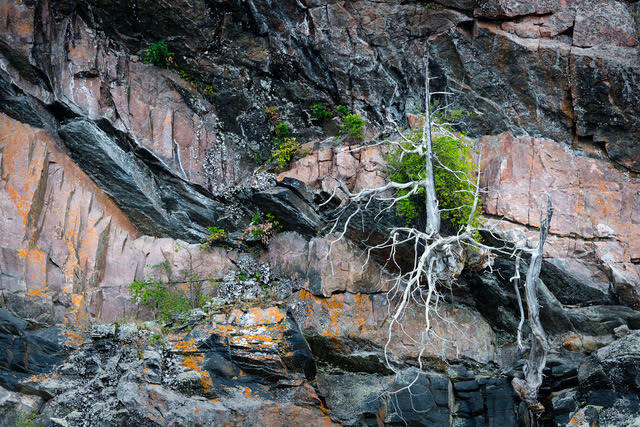 Travels to Tobermory, and the north and south shores of the St. Lawrence inspired new variations in my fascination with the narrative of water and light, mist and fog. My work is a contemplative response to the natural world in an action of painterly invention and metaphor. Rich, saturated colour and loose form inhabit these paintings. 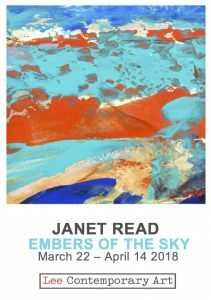 Embers of the sky, Janet’s first show at Lee Contemporary consists of works on linen, canvas and acrylic on paper. 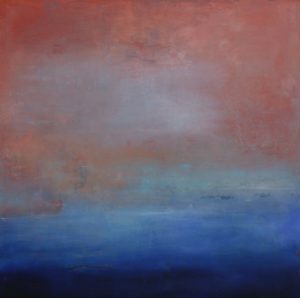 The work is inspired by light over water and the deep colours of sky and water as they reflect and amplify each other. Light and dark in saturated colour animate my work. Saturated deep blues allude to the mysterious depths of water and vivid agitated and gestural painted skies to the light of the air. These elements collide and mirror each other in a mode of atmospheric abstraction, a term coined by Carla Garnet, curator, to describe this work in my solo exhibition at the Art Gallery of Peterborough in 2013.